“Can we get another cat?” Natalie asked. “No. One is enough,” I replied. It’s a Pillowcase Friend by The Company Store. The awesome case houses your standard pillow and turns it into a fabulous friend. 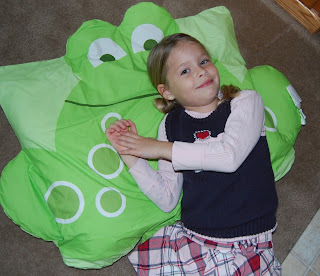 Or, in Natalie’s case, the frog she yearned for. I’ve always been impressed with products from The Company Store. From adorable bedding to monogrammed backpacks, they have a bunch of items that I would want to purchase. If your kid is an animal lover, you can get your own Pillowcase Friend for $29. It doesn’t just come in a frog design. You can get a dog, cat, monkey, pony, or butterfly. It’s also machine washable, which is a good thing because my daughter isn’t what you’d exactly call neat. 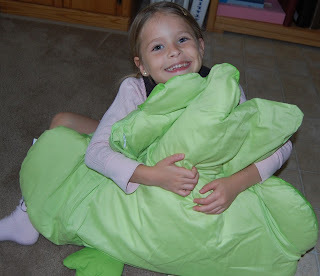 Natalie has named her frog Pillowcase Friend Burt, by the way. I’m not sure why. It even rode in the car with us the other day. 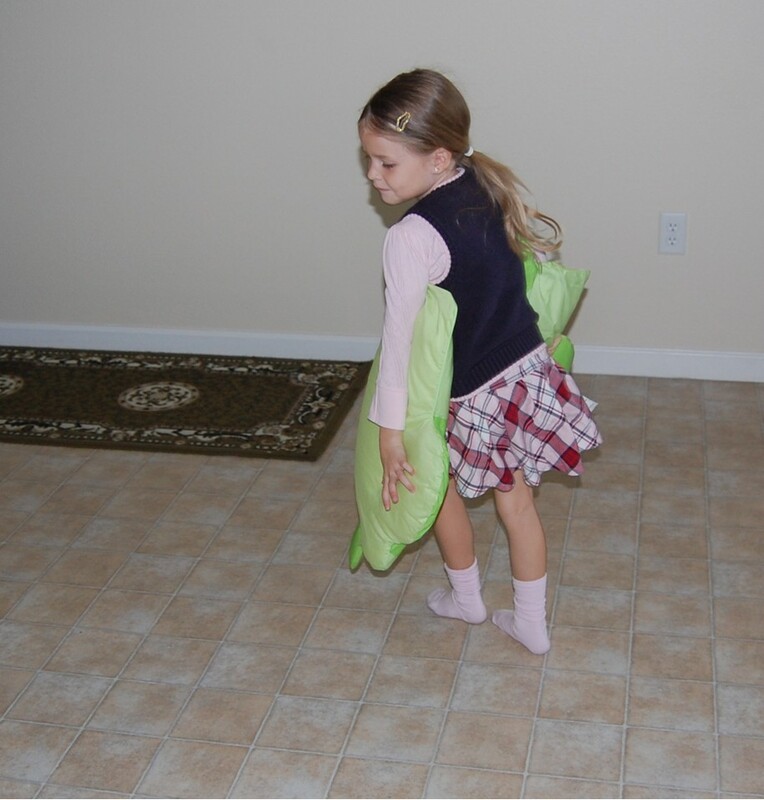 So basically, this Pillowcase Friend has provided us with lots of entertainment, which is always a bonus in my eyes. I was not compensated for this post. 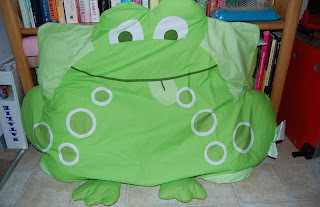 I was given a frog Pillowcase Friend to try out but my opinions are my own. This is a comment on your previous post. I discovered Oreo Cakesters about a month ago. If you ask me, one serving is the whole box. Yum. I haven't heard of the candy corn ones. But I have had the same thing happen to me at Target several times. I will ask and they don't have it yet others insist they got it at Target and I keep looking and.....I find it eventually. They make really great quality products!!! Even Hollywood celebrities shop there, lol! I know because I worked there, at the call center and took orders. Before they moved it to India, that is.